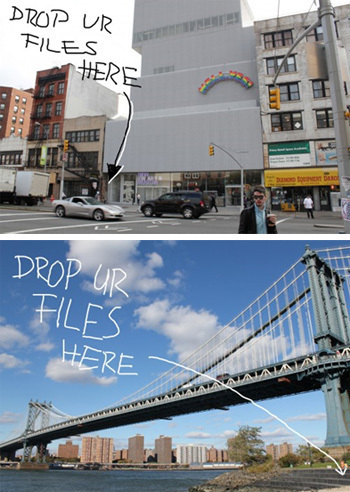 “Dead dropping” is a practice wherein tech-savvy hipsters glue USB ports onto public spaces, like walls and bridges, for random people to stumble across and dig into. 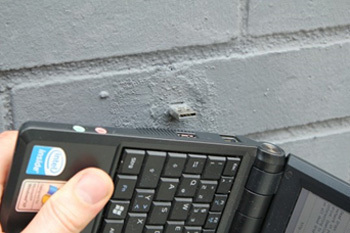 To many, the idea of whipping out your laptop and plugging in a random thumb drive you found in an alleyway sounds like a terrible idea — it’s basically the digital equivalent of a glory hole. But for those who spend time hunting for dead drops, it sounds like a wonderful idea — like the digital equivalent of a glory hole! The idea is the brainchild of Aram Bartholl of EYEBEAM, an experimental tech agency combining art with modern computing technology. Bartholl was inspired by the Cold War-era espionage technique of hiding sensitive information in plain sight — say, behind a loose brick or under a creaky floorboard. As far as we’re aware, no horrific viruses have spread through the project, but there have been enough terrorist manifestos and crystal meth recipes to draw the attention of police. Uh … nobody tell the police about the internet. They’d have a fit. It took decades. They … didn’t have much to do back then. Many of these “trail trees” are still out there in the American wild, although the trails that they originally marked haven’t been used for hundreds of years. Luckily, some hobbyists have taken to rediscovering these trails by identifying the markers and recording their locations, because some freaks like to spend their time exploring history and nature instead of the depths of their own depravity, like we do. 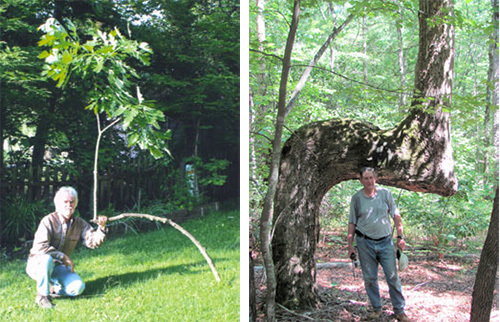 Somewhere around 2,000 trail trees have been recorded across 40 states and Canada. 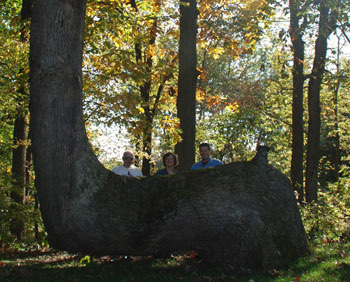 So if you’re ever taking a stroll through the forests of North America and come upon an unnaturally bent tree, it’s possible you’ve stumbled on a thousand-year-old marker of historic value. Or it’s just a weird tree! It all depends on how interesting you want to pretend your life is. #3. 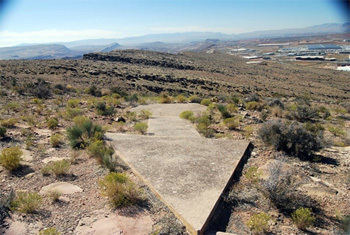 The Giant Concrete Arrows Scattered All Across The U.S. 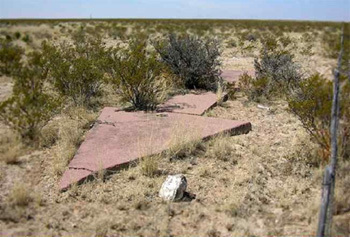 If you ever find yourself stranded in the American desert without food or water, and you come across a crumbling concrete arrow half buried in the dirt, you might think you’ve been saved. The bad news is that you’re probably still going to die. But the good news is that you stumbled on a valuable piece of American history! … right before you died. Here’s the story: Fewer than 20 years after the Wright Brothers’ historic flight, the U.S. Postal Service was already using planes to shorten cross-country mail delivery times from weeks to days. The problem was that, in those early days, pilots had no idea how to navigate in the air. The Postal Service addressed this problem by covering the landscape in giant arrows. 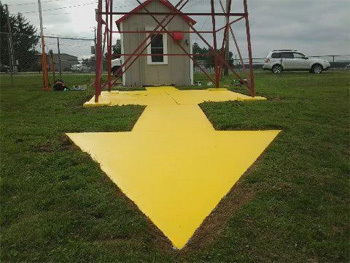 At the time, the arrows were painted bright yellow and accompanied by tall beacon towers to facilitate navigation at night. Concrete was useless against Hitler’s Nazibots. If you know where to look, you can still find the sun-bleached arrows stretched along the barren desert landscape pointing in a straight line from coast to coast, like a futile video game quest with no reward. Well, unless you consider “the journey itself” to be the reward. In which case, oh my god shut up.